Tourism in January, February 25% higher than corresponding months in 2016. In February 2017, 234,000 tourist entries were recorded, representing a 22% increase in comparison to February 2016, and a 25% increase when compared to February 2015. 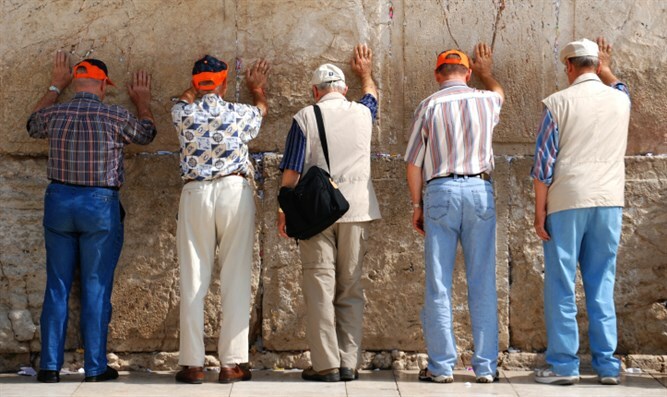 Statistics show this is the best ever start to the tourism year in Israel. Between January and February 2017, 467,000 tourist entries were recorded, representing a 25% increase on the same period in 2016 (377,000). 399,000 of these tourists arrived by air, 21% more than the same period in 2016 and 26% more than in 2015. During February 2017, 209,000 of the tourist entries were by air, representing an increase of 19% when compared to February 2016 and of 24% when compared to February 2015. 24,000 tourist entries were recorded via the land crossings, of which 20,000 came through Jordan and about 5,000 through Egypt. There were about 10,000 day visitors in February 2017 - a decrease of 20% when compared to February 2016 and of 17% compared to February 2015. Tourism Minister Yariv Levin (Likud) said, "The upward trend in incoming tourism to Israel is continuing into 2017, with an increase of more than 22% this month. The statistics show that the ground-breaking marketing activities we have led in the last few months at the Tourism Ministry have generated a significant increase in tourist arrivals. "We will continue to consolidate Israel’s position and promote the country around the world as an attractive tourism destination to ensure the continued prosperity and strengthening of the tourism market in Israel."